You guuuuys! 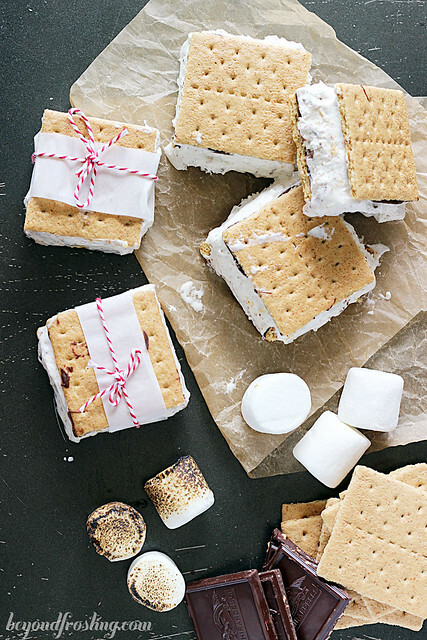 It’s time for day two of S’mores week? 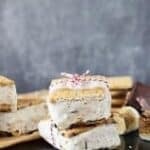 If you follow me on Facebook, I have been sharing some amazing S’mores recipes from all my friends! 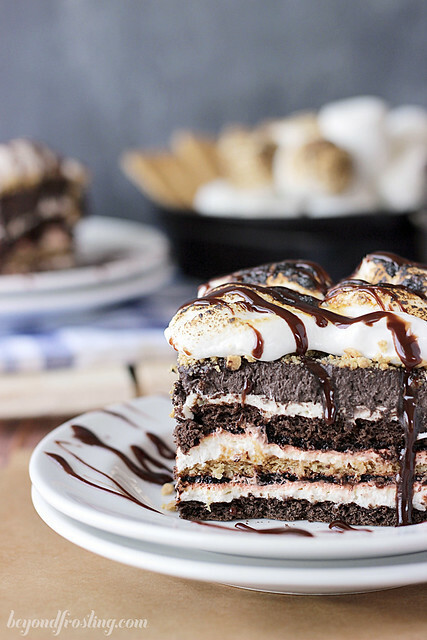 Make sure not to miss my S’mores Lasagna from Monday! 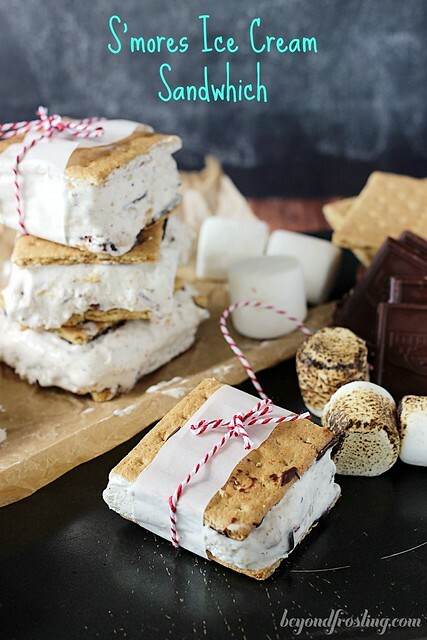 Also be sure to follow along on my S’mores board on Pinterest. Today is all about ice cream. 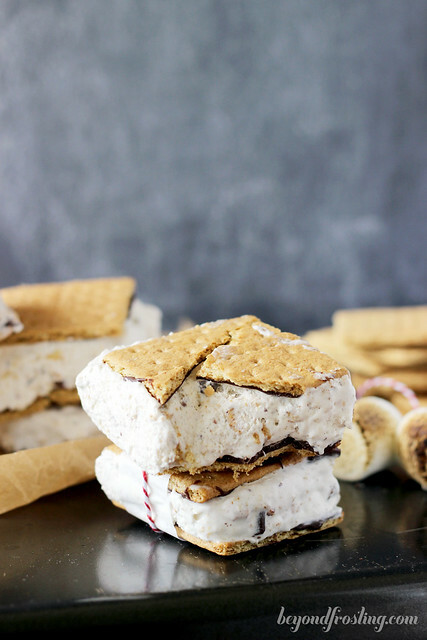 These S’mores Ice Cream Sandwiches are made with a no-churn ice cream base. 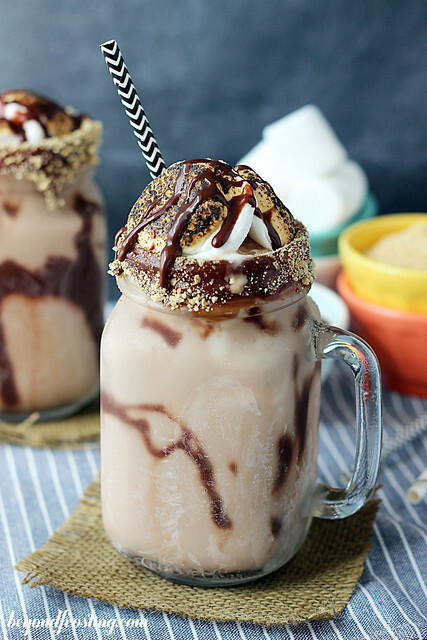 It is packed with all the fixings for a s’more: toasted marshmallows, chocolate and graham crackers. 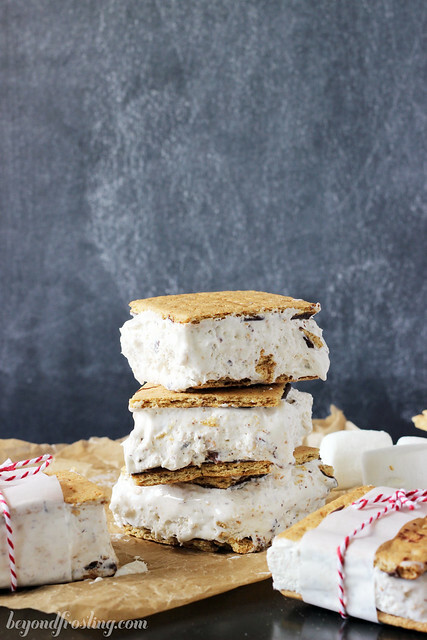 Since this past Sunday was national ice cream day, I knew I had to include an ice cream recipe is S’mores week! The ice cream is made in your mixer, but doesn’t require an ice cream maker! It made with sweetened condensed milk, marshmallow crème and a little bit of Cool Whip. This ice cream does harden, but stays a little bit soft, so it is the perfect consistency to bite right into. The graham crackers are lined melted chocolate. It’s super easy to do this. If you use a chocolate candy melt like Candiquik, it makes it even better. The chocolate melts in the microwave in about a minute and it is smooth, every time. 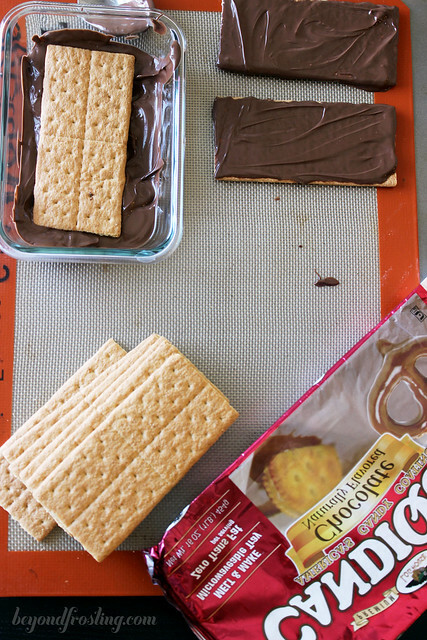 Spoon the chocolate onto the back of the graham crackers and use the back of the spoon to gently smooth out. Then you allow it to harden. 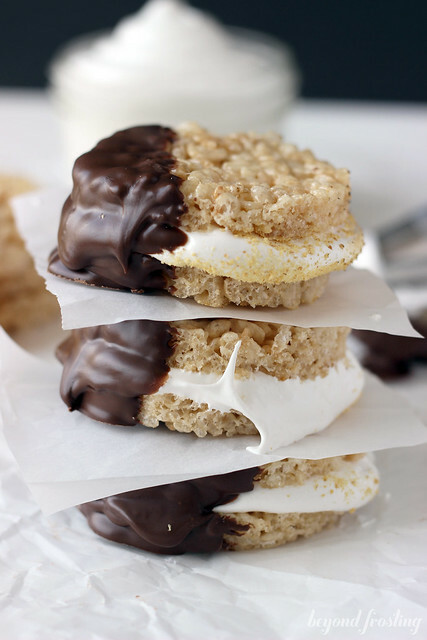 You should make 15 full size chocolate coated graham crackers. Let’s talk about the marshmallows for a minute. There is both marshmallow crème and also toasted marshmallows. I used a microwave to slightly melt the marshmallows and a kitchen torch to torch them. However, I know not everyone has a kitchen torch! So the other option is to use your oven and boil the marshmallows for a few minutes before you add them to the ice cream. Here’s a few tricks you might need when making this. Fully line your pan with tin foil so it folds over the edges. That way, when you remove these from the freezer, you can lift the tin foil out of the pan and it’s easier to cut into these. The bottom of the pan will fit 6 and a half graham crackers. You will still have a couple inches of free space on the side of the pan. I built up a “wall” of tin foil that I could press against the ice cream sandwiches to help them hold the shape. It worked perfectly. 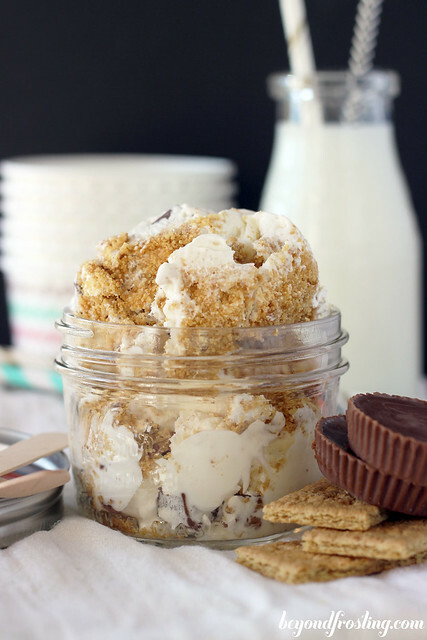 After you mix the ice cream, you just pour it over the graham crackers and smooth it out. Then use the remaining graham crackers to cover the top. The ice cream base takes a little longer to harden, so you will want to make these the night before you are planning to serve them. They are easy to cut through so that you can make each sandwich the size of half a graham cracker. Aren’t they just adorable? Make sure that you serve these with a napkin because there is still plenty of ooey gooey marshmallow in this dessert! Be sure to check out all my friend’s post below too! In a mixing bowl, combine sweetened condensed milk and marshmallow crème. Beat until smooth. 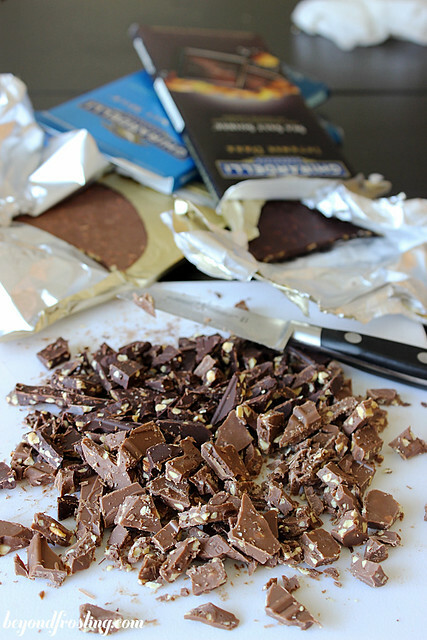 Chop chocolate into small pieces, add to mixing bowl. Use a food processor to grind crackers into a fine crumb. Add to mixing bowl. In a microwave safe bowl, microwave marshmallows for 30-45 seconds until the marshmallows are soft. 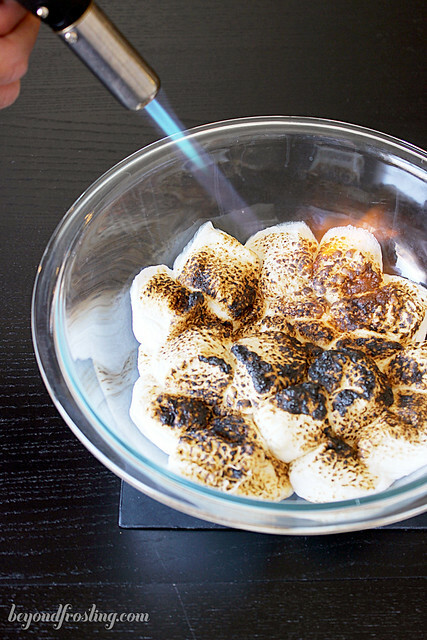 Use a kitchen torch to toast the marshmallows. Spoon toasted marshmallows into mixing bowl. Add Cool Whip last. Combine all ingredients and mix until smooth. Put as many graham crackers along the bottom of the pan that will fit, it should be 6 full cracker and 1 half. You should have one side of the pan that won’t fit a full cracker. Use a piece of tin foil to make a wall up in the empty space. Spoon the ice cream filling into the pan and spread evenly. 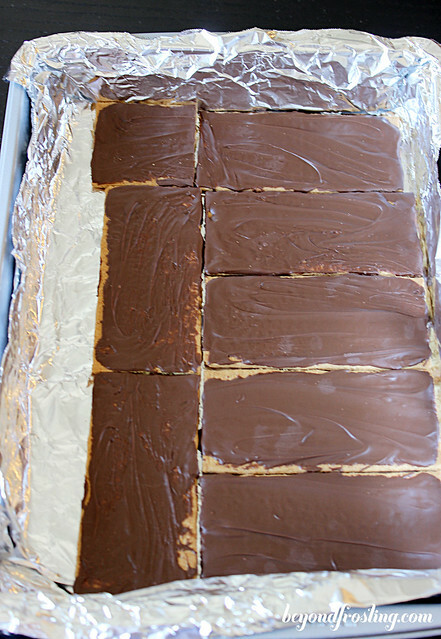 Line the top with remaining graham crackers in the same layout that you made on the bottom. Remove the pan from the freezer and gently lift tin foil out of pan. Use a serrated knife to cut the ice cream sandwiches in half. You should get 15 ice cream sandwiches. Serve immediately. Total time include freezing time. Love the foil trick- these look amazing! Thanks Wendy! It was totally necessary!